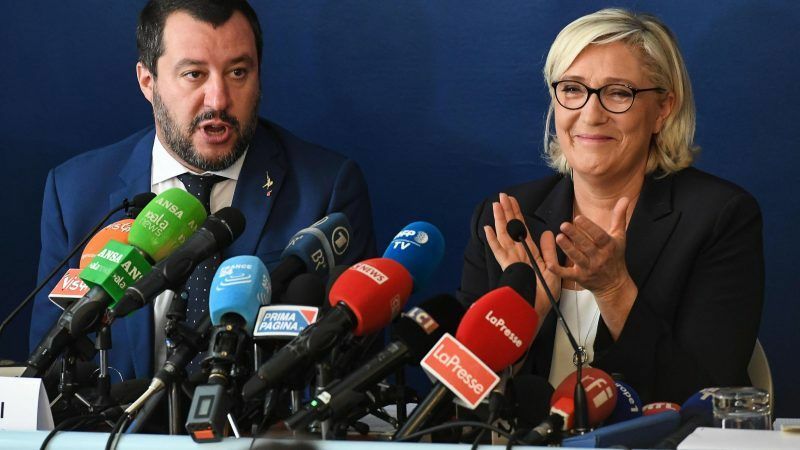 “The May date will be the end of the journey, a common sense revolution,” Matteo Salvini, the head of Italy’s anti-immigrant League party and deputy prime minister, said in Rome alongside France’s Marine Le Pen. Salvini, also interior minister, has taken a hardline anti-immigrant stance since coming to power in June and has recently shifted the focus to social issues, including Italy’s low birth-rate. His party won 17% of votes in March, and opinion polls now predict his party winning 30%. “The real challenge is the fight against insecure employment, unemployment… the empty cots,” said Salvini, once more attacking EU Commission head Jean-Claude Juncker and EU Economics Commissioner Pierre Moscovici, who have decried the upcoming Italian budget for increasing spending and the deficit. 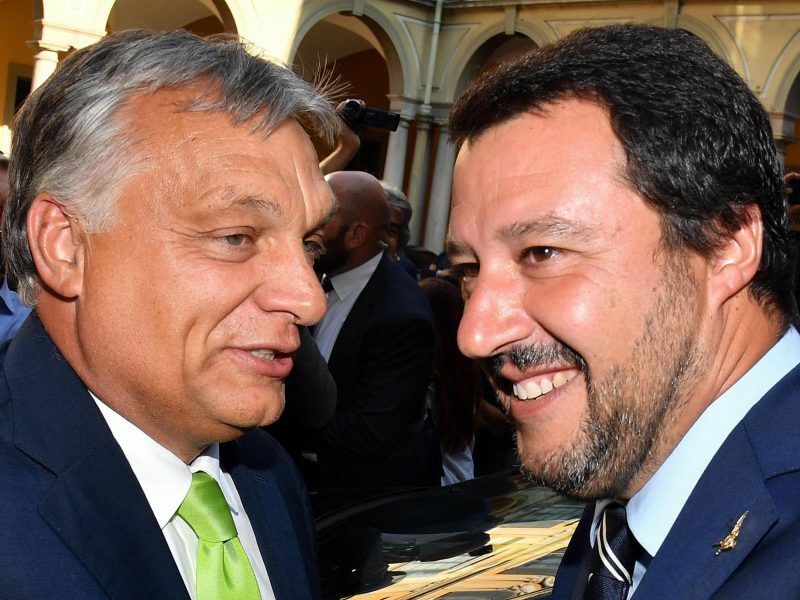 “Europe’s enemies are those cut off in the bunker of Brussels,” said Salvini. “The Junckers, the Moscovicis, who brought insecurity and fear to Europe and refuse to leave their armchairs. 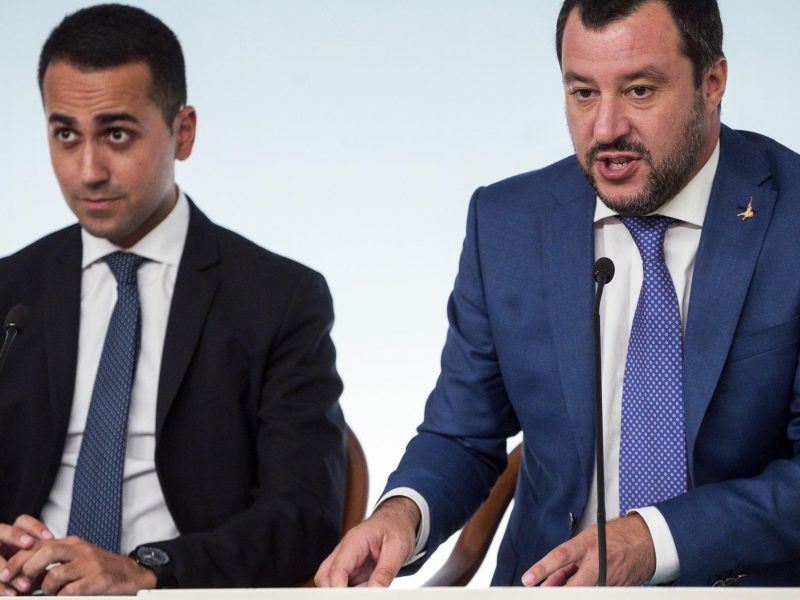 “I’m attentive to the assessments of stock markets, markets, analysts but if a budget proposal, such as ours, makes central the right to work, health, life, retirement, that comes before the other reasons,” Salvini said. Marine Le Pen, the head of France’s National Rally (formerly the National Front), backed Salvini. “The EU was built on a lot of promises… but very few are realised or provide results… absolutely pathetic,” she said. “We’re not fighting against Europe but against the European Union that has become a totalitarian system,” she said. “We are today at an historic moment. History with a capital ‘H’ will be written in May. It will be the emergence of a Europe of nations,” she said. 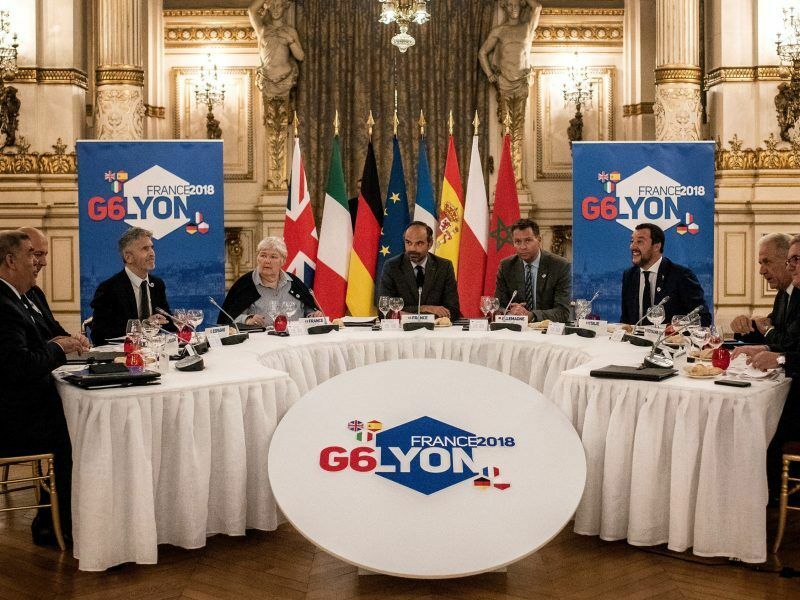 French Prime Minister Edouard Philippe urged far-right Italian leader Matteo Salvini on Monday (8 October) to drop his “posturing” on immigration and help find a European response to the issue.